"We have to become stewards of each other," Whoopi Goldberg said. 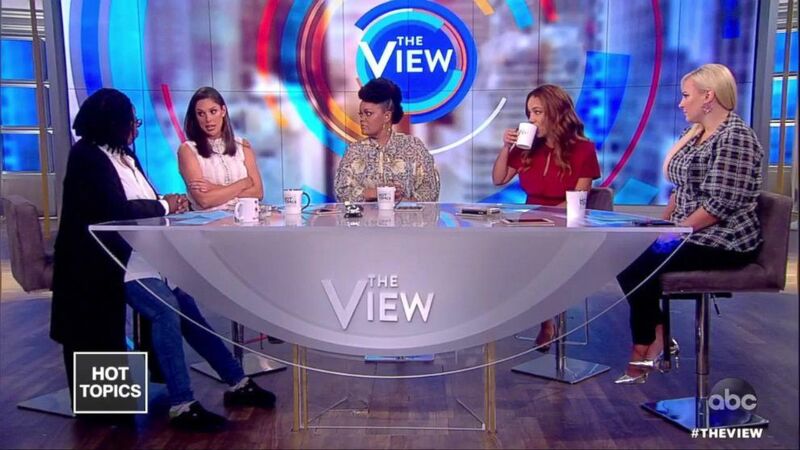 On World Mental Health Day, "The View" co-hosts had an open conversation about their own experiences and discussed the role of social media in the growing mental health crisis. Meghan McCain spoke about working through the death of her father in August, on her third day back at the show. "One of the things I wanted to say when I came back was that we do not talk about grief and death enough at all," McCain said. "I'm in an intense grieving process right now, I'm still struggling with how to talk about it." 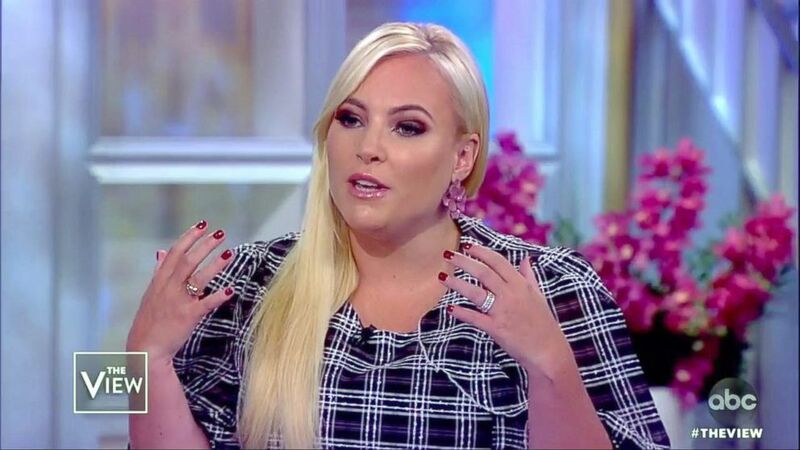 (ABC News) Meghan McCain opens up about her experience following her father's death. "Make no mistake, I'm happy to be here on this show," she continued. "But, mornings and nights are still really hard for me." In the midst of her coping process, McCain said she realized the grieving process should be discussed more openly. "We should be able to talk in our culture about dying, cancer, grief -- without stigma," she said. (ABC News) Whoopi Goldberg opens up about her experience grieving her brother and mother's deaths. 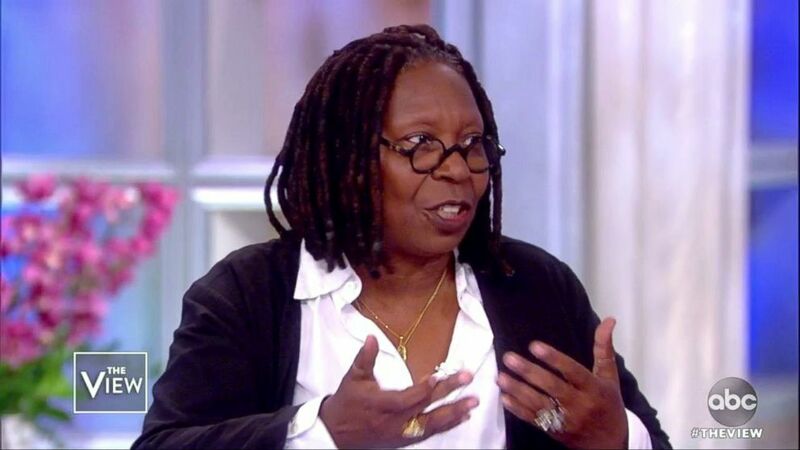 Whoopi Goldberg talked about how she continues grieving in her own life, as well. "I also am still in grief for my brother -- and my mom," Goldberg said. Her brother, Clyde Johnson, died in 2015 and her mother, Emma Johnson, in 2010. "You keep thinking, 'Oh there's going to come a day when I'll be back to what I was,'" she said. "We're all going through it —- and so we have to become stewards of each other." (ABC News) "The View" co-hosts discuss their experience with mental health. Yvette Nicole Brown, who joined the table as a guest co-host, pointed to social media's role in the mental health crisis among younger generations. "When I was a kid, if something happened at school, it stayed at school for 12 hours until you returned to school. You could leave it there," Brown said. "Now, it follows you ... it becomes a feeling where the pain and the despair, that is your entire life." Goldberg compared it to a time when cancer was stigmatized and open conversations around the disease were discouraged. "We can't afford to do that," she said. "It's not just young people, it's people my age, it's people your age ... who are thinking they're not good enough or they're inadequate, or they don't have what's needed ... we have to look out for each other." McCain called attention to the suicide epidemic among veterans who suffer from post-traumatic stress disorder and more. "We should be talking about this in a broad sense," she said. "We're still not doing enough with the V.A., we are not doing enough to support veterans when they integrate back into society." Anyone who has had thoughts of suicide or self-harm or knows someone who is in crisis -- or who just need to talk to someone -- please call the National Suicide Prevention Lifeline at 1-800-273-TALK (8255) or contact the Crisis Text Line by texting TALK to 741-741.